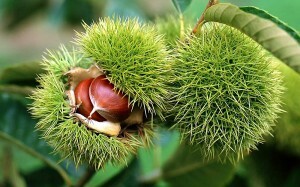 The 2018 Chestnut Festival will be on Sunday, 4 November. 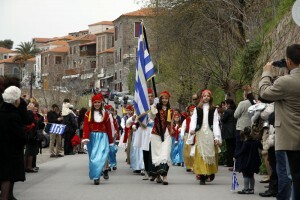 Greek Independence Day is celebrated on 25th of March. 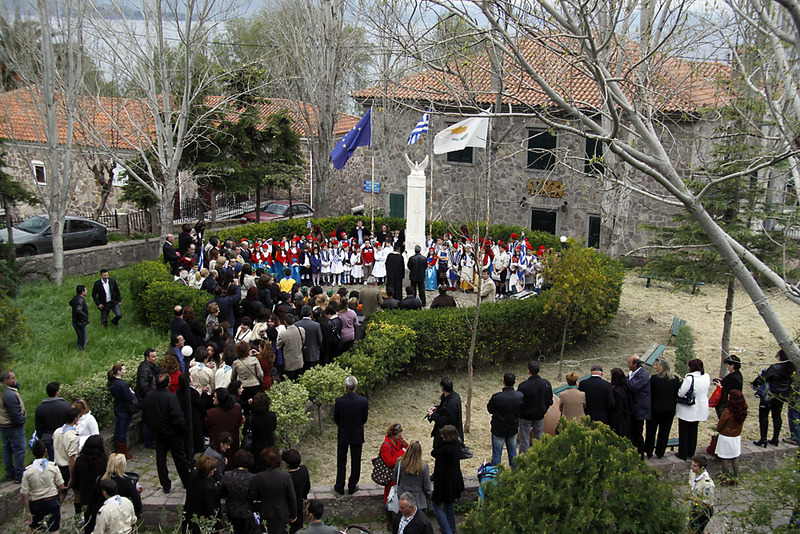 It marks the anniversary of the raising of the flag of revolution over the Monastery of Agia Lavra in the Peloponnese in 1821 by Bishop Germanos of Patras. 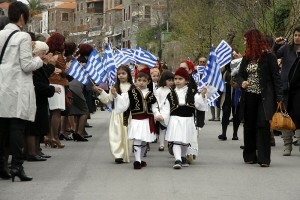 In Athens there is an impressive military parade. 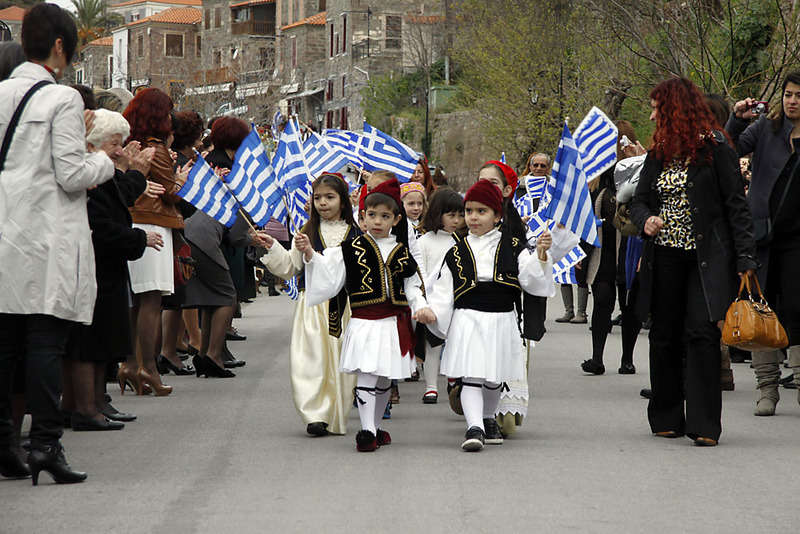 In villages of Greece it is celebrated with parades by the children of the village. 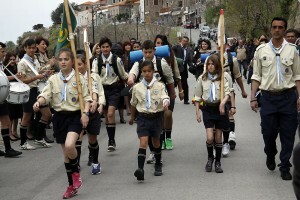 Many proudly wear national costume or their scouting uniforms. Independence Day in Molyvos was no exception with smiling parents and villagers lining the streets to watch. 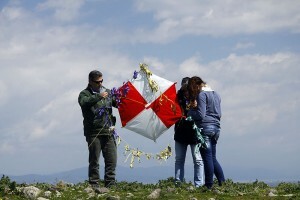 Independence Day coincides with the Greek Orthodox celebration of the Ann unciation, when the Archangel Gabriel appeared to Mary and told her that she would bear the son of God. 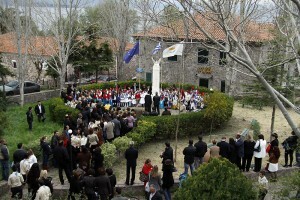 It is also said by many to be the day that the swallows return to Greece, marking the beginning of summer. I will keep a look out and let you know. 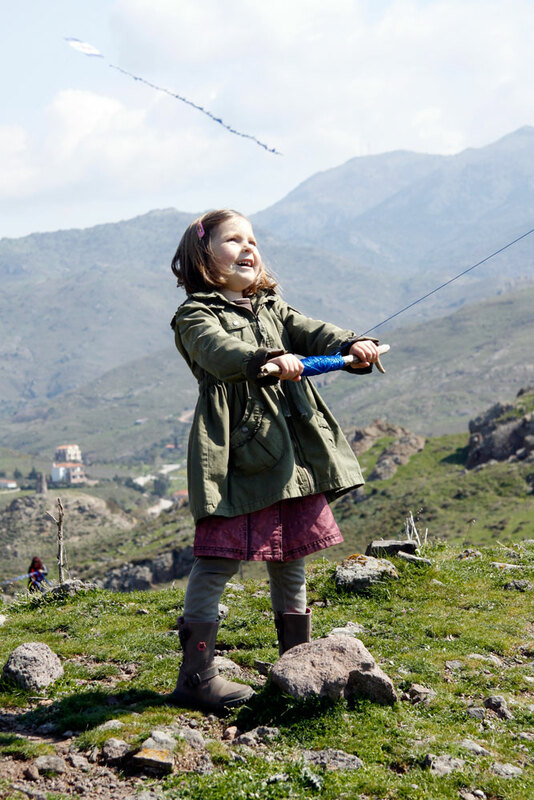 Lets go fly a kite! 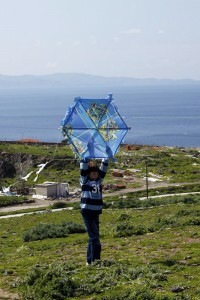 Kite flying is a traditional end to carnival in Greece. It is a time for families to spend time together and have some fun. 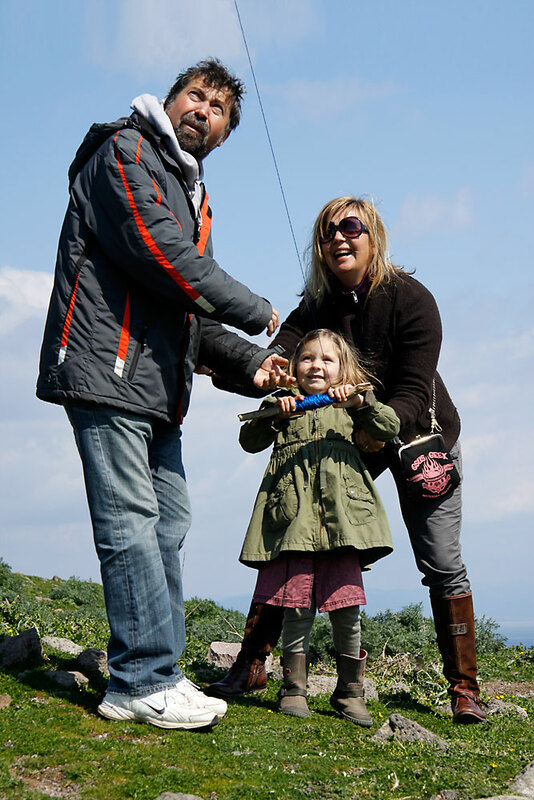 Spring has already arrived in Lesvos so there was a good turn out to enjoy the warming sun and fly their kites. 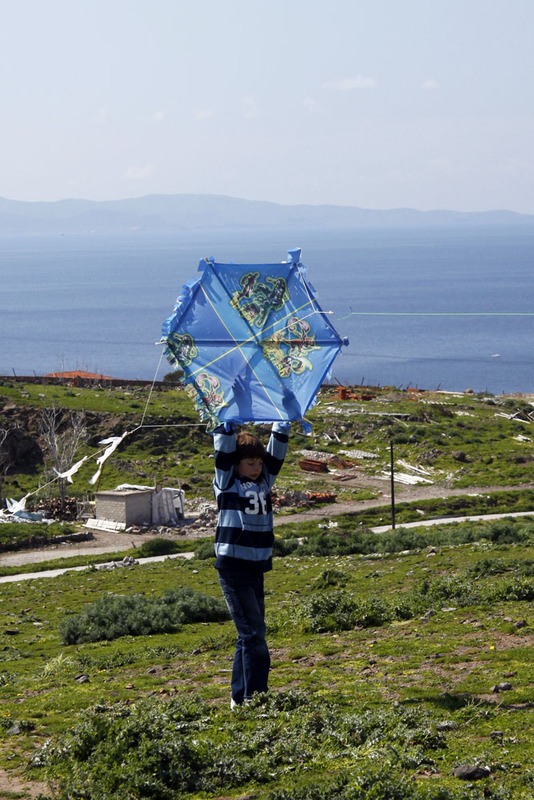 Many people make their own kites and there is competition to have the prettiest kit. The real battle though is to see who can fly their kite the highest. 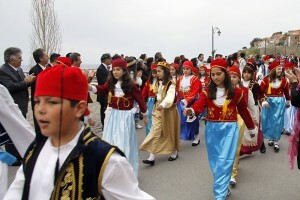 In Molyvos people gathered on the land at the top of the hill close to the castle. 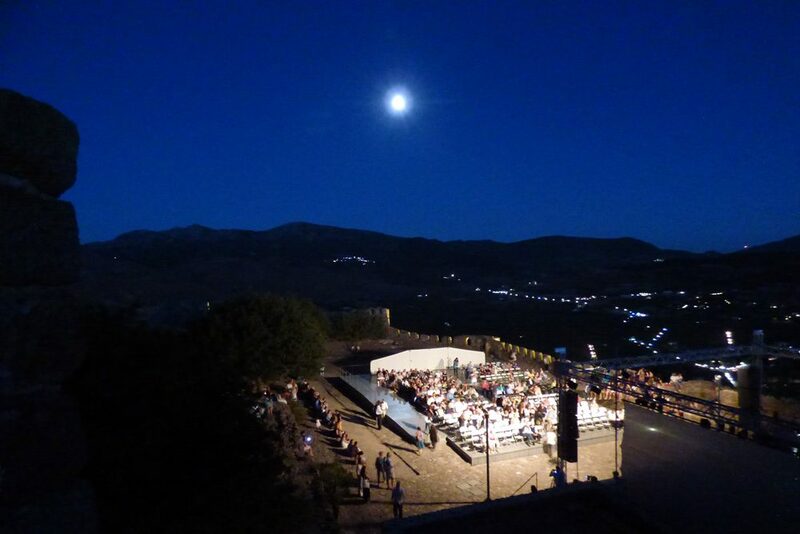 From here the top flyers were mere distant specks in the sky over the sea. 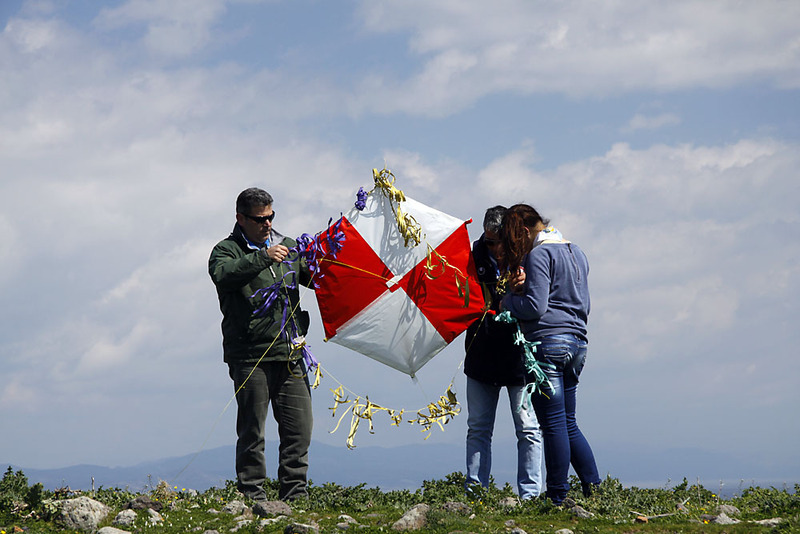 A few kites managed to escape and take refuge in trees. I will spare their owners blushes by not showing the pictures. The festivities begin on Good Friday with Η περιφορά του Επιταφίου “perifora tou epitafiou”, a candlelit procession of a shrouded funeral bier that is carried through the city streets to the local church. Shops are normally closed away from tourist areas.